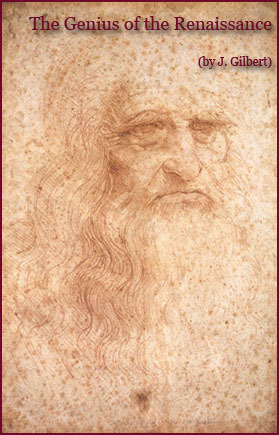 as in other fields, he demonstrated the supremacy of experience. 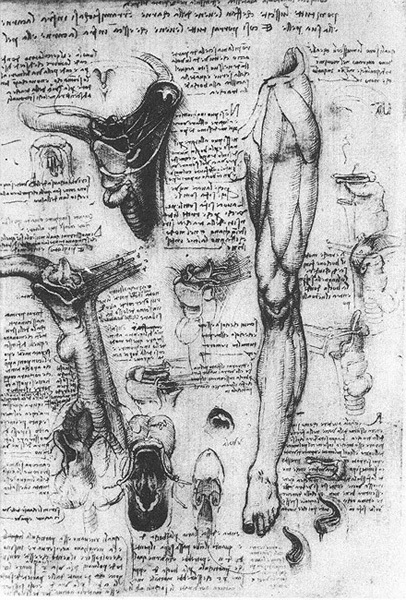 Like other artists before and after (Donatello, Pollaiuolo, Raphael, Michelangelo, Alessandro Allori, Cigoli, Poussin, Guercino, Rubens, and Rembrandt), but surpassing them in acquired knowledge, he observed and even practised the dissection of corpses, human and animal, to which he gained access in the hospitals of Santa Maria Nuova, Florence, and Santo Spirito in Sassia, Rome. 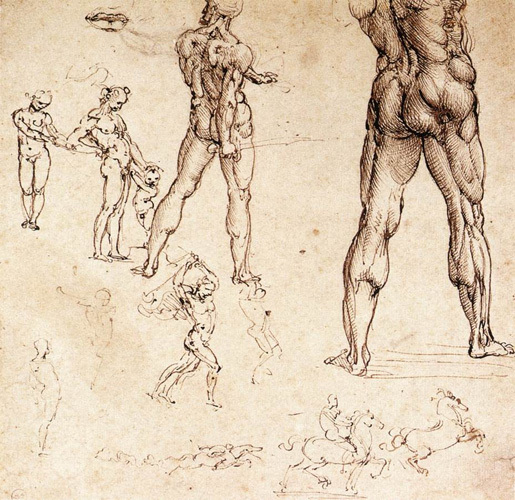 The human body provided an unrivalled opportunity for artistic and scientific analysis. 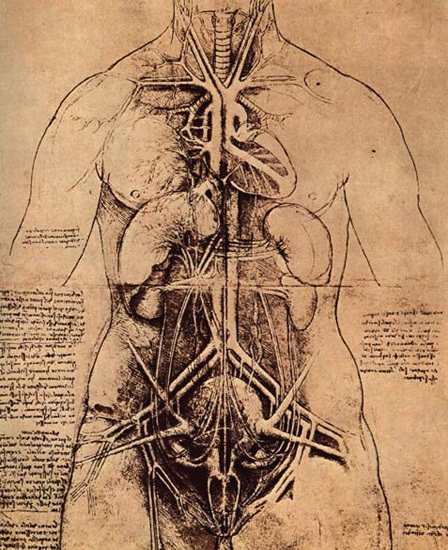 His anatomical research was both topographical and physiological, with investigations carried out under normal, pathological conditions into the muscular, circulatory, and genitourinary systems, and into the individual organs, the brain, nerves, cartilage, skin layers, and skeleton. 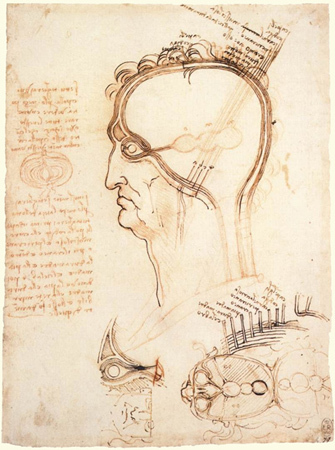 Familiar with the anatomical writings of Galen (2nd century), of the Arab Avicenna (l0th-11th century), and of Mondino (13th—14th century), he also met Marcantonio dalla Torre, the foremost anatomist of the age. 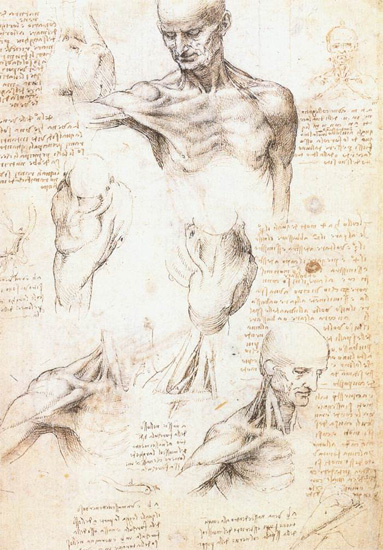 The Flemish-born Andreas Vesalius, lecturer in anatomy at Padua and author of De humani corporis fabrica (1543), the first treatise on modern anatomy, set great store by Leonardo's studies. 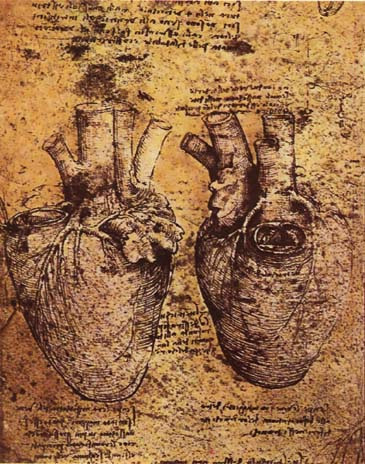 Leonardo da Vinci, Heart and Lungs (of Cattle), c.1513, Royal Library, Windsor. 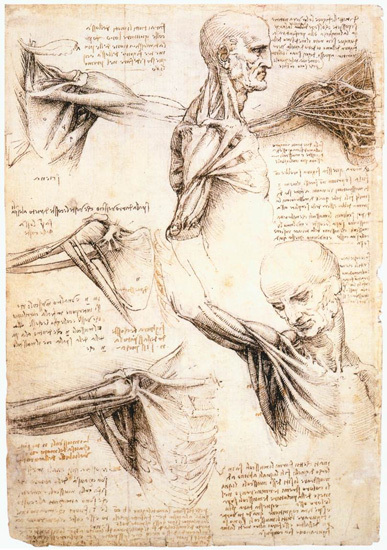 Studies of the heart were carried out during Leonardo's old age. 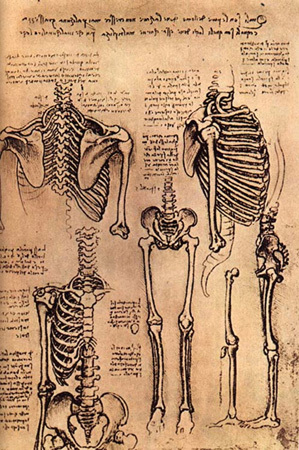 The functioning of the heart and the cardiac valves was examined with the aid of glass tubes, to prevent the organ from collapsing. 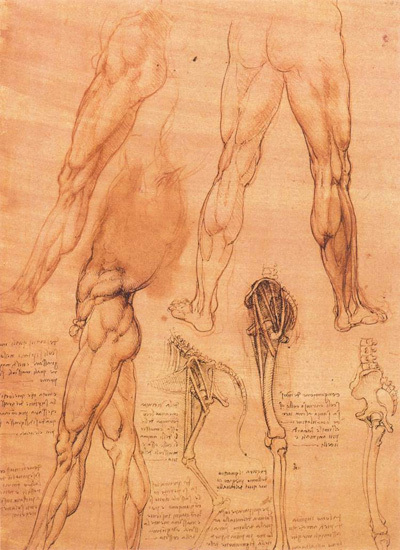 of motion and strength of the figure depicted. 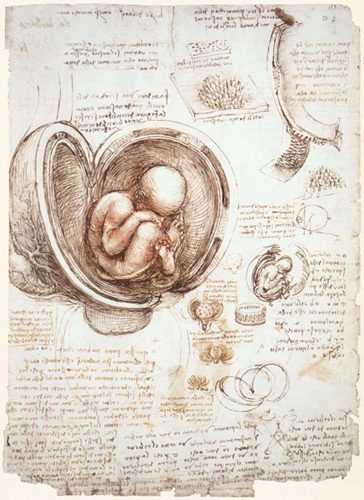 The studies on embryology, together with those on cardiology, were particularly concentrated during the Roman period (1513-16). 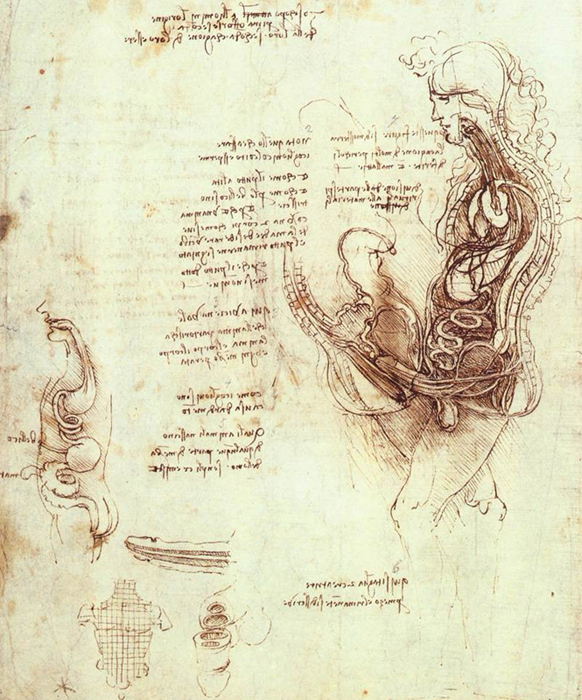 Leonardo da Vinci, Dissection of the Principal Female Organs and the Female arterial System, with Emphasis on the Respiratory, Circulatory, and Uro-genital Systems, c.1508, Royal Library, Windsor. 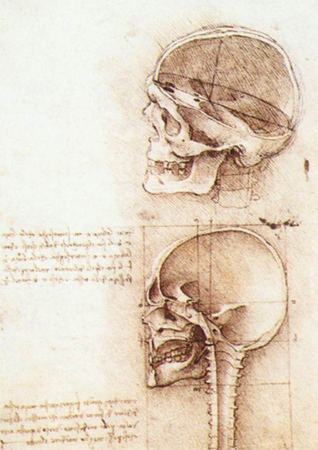 who described the skull as the meeting point of the senses and the seat of the soul.